This QR with adapters enable you to safely mount a road bike with disc brakes or a mountain bike with a thru axle to a Tacx Direct Drive trainer. This QR axle is supplied with a selection of adapters so you can select the right combination for your bike. 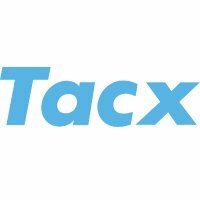 The Tacx Direct Drive Quick Release Adapter Set is available in two sizes. T2835 Direct drive quick release with adapter set for 142x12mm thru' axles.